The 1 sen rounding mechanism has been implemented in Malaysia without any major issues. However, being a frugal beagle I can’t help but to highlight some problems that I have come across. I know that a few sen is not worth much, but frugal beagles never let a cent go to waste. Recently, fellow blogger Paris B fell victim to a petrol station in Jalan Ipoh, where the station allowed a faulty petrol pump to stay in operation, allegedly short changing each customer by1 sen. But that’s not what I want to highlight today. I noticed problems that occur due to a misunderstanding of the new policy. I was shopping at Giant hypermarket a few months back, and I wanted to use up my 1 sen coins. The cashier did not want to accept my coins. Actually they cannot refuse, because 1 sen coins are still legal tender, according to Bank Negara guidelines. The Central Bank of Malaysia Act 1958 (1994) refers. The purpose of the rounding mechanism was not to eliminate the 1 sen coin altogether, but to reduce demand so that Bank Negara won’t have to mint new coins anymore. In my TNB bill, I noticed that the 1 sen coin rounding mechanism is applied, even though I pay via online banking. Again this is not right, because the Internal Trade and Consumer Affairs Ministry (KPDNHEP) guidelines say that the rounding mechanism applies to over the counter cash payments only. I know that there’s no point arguing over 1 sen. However, it’s sad to see how policies can cause disadvantage to some parties without clear guidelines and follow-up enforcement. 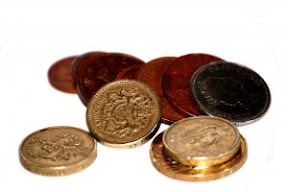 You should read my post 1 Sen Coin Myths and Facts You Must Know to familiarize yourself with this policy. Besides TNB, Maxis, Syabas & Telekom also rounded in their bills. I remember I tried to use 1 sen in Speed 99, they rejected also. Adino: Maybe the charity also won’t accept 1 sen coins any more. You know what? That day I even have 5 sen coins rejected in coffee shop!